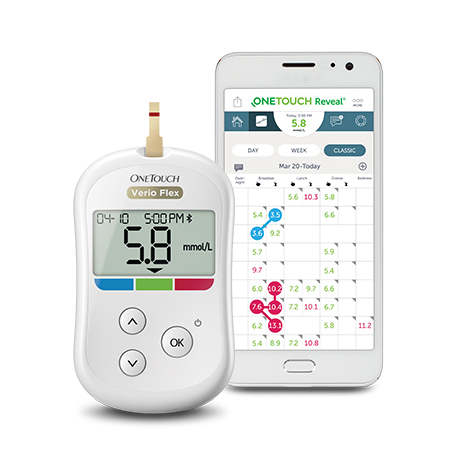 The OneTouch Reveal® mobile app wirelessly connects with the OneTouch Verio Flex® meter to help patients get more meaning out of their blood glucose results – in the moment, and on the go. It also helps patients share results with you, via a secure cloud-based ecosystem. It contains colourful and simple visuals to explain and highlight patterns, track blood glucose, food, insulin, and activity data over time. If patients want, they can sync their data with the Apple Health app on compatible iOS devices. 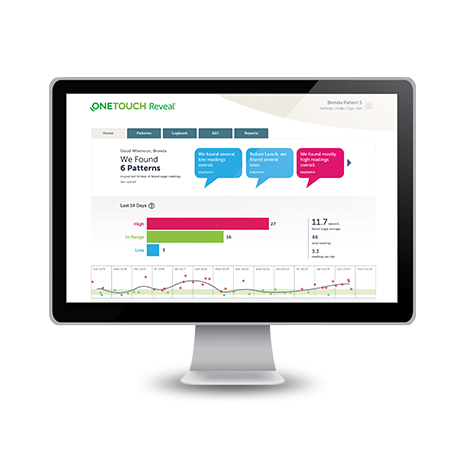 The OneTouch Reveal® mobile app can help patients stay on track and stay more engaged between visits. Ask your patients to download the app on their Apple iOS and Android devices. Your patients can upload their data and view a personalized home page designed to help get them more involved in their own care. 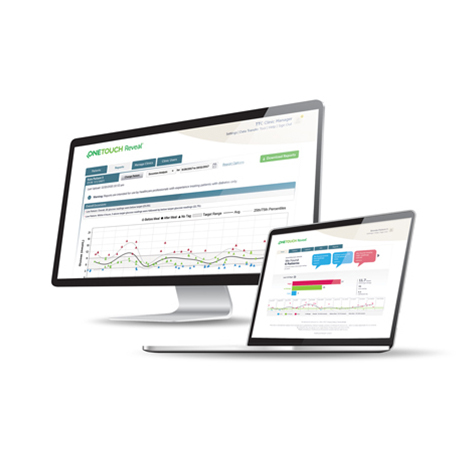 Additionally, patients can download reports before their appointment, allowing them to have more meaningful conversations with you. 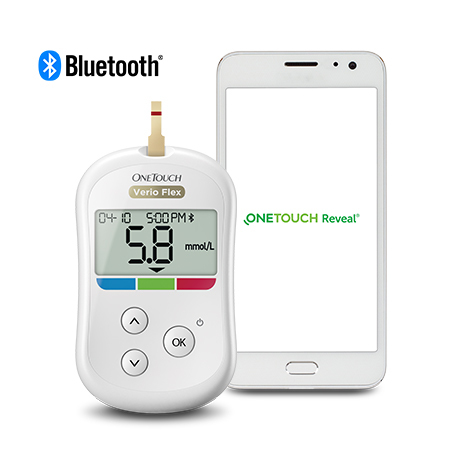 OneTouch Reveal® apps for patients use the same username and password and store data on a cloud-based system. The OneTouch Reveal® web app for professionals makes all this patient data instantly available to you, when linked using a Clinic Code. *Compared to using a meter without a colour range indicator and a paper logbook.